The stories that unfolded in the United States after 9/11 and the resulting War in Iraq were some that tear at your heart. The pain and struggles of those left behind are sometimes more heartbreaking than the stories of the lives lost. In The 8th Fold, a titled inspired by the folding of the flag, four boys are brought together by unfortunate circumstance as they learn to cope and grow with a little help from their friends. The 8th Fold is a heavy musical about loss, grief, and friendship in the age of war. Though billed as a 9/11 musical, The 8th Fold is more of a reactionary piece about the aftermath. 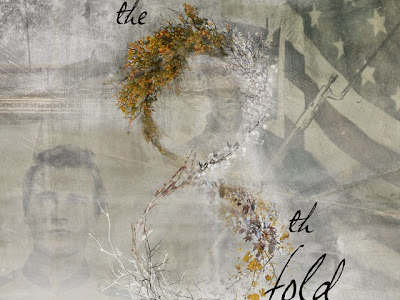 With music by Gianni Onori and a book by Onori and Ava Eldred, The 8th Fold follows young Elijah as he makes three new friends at the gravesite of their family members’, all of who were in the military and lost their lives in battle. As their friendships build, secrets are revealed, bonds grow closer, and time heals wounds. Where The 8th Fold shines is the power of storytelling through song. Perhaps an excess of material, the majority of Onori’s music is beautiful and poignant, though none are all too memorable. Where The 8th Fold falls flat is in the book. The book is thin and relies too heavily on the circumstances. The musical hits stronger through a grief lens then through the 9/11 and Iraq War lens. Act I is a long actionless backstory set up for Act II which is a fun “Stand By Me” time buddy story. The 8th Fold wanted too much to trim the fluff and be a one act musical. Additionally, there are some glaring dramaturgical and factual errors that call Onori and Eldred’s book into question. Early on in Elijah’s first monologue, he lists what happened after the Twin Towers fell, one of which including “people were drafted.” As history shows, there was no draft in America and this seemingly small mistake forced listening to every word of the show on high alert for fact check. The cast made up of four young men, and two “shadows” present mostly to add more sound, were individually quite good. But when it came to harmonizing and singing as one, the quartet seemed unable to blend allowing for some insane pitch problems. Kyle Schliefer as newcomer with a thousand secrets Kane was phenomenal. Schliefer has a pure voice, and offered a complete performance. Matthew Brown as bad boy Russ played mostly to the extremes of anger, though his pain and suffering were the most intriguing to watch. Thaddeus Kolwicz as the baby of the group had possibly the least complete arc of the bunch. With what little material he had to work with, Kolwicz did wonders. Micah Cowher as Elijah serves as the narrator but his performance was mostly monotonous. Each time he broke the fourth wall, he offered a nonchalant retelling of the action we saw or passage of time. For the most part Cowher’s voice was beautiful, though there were moments Onori’s score made him squeak in the upper register. With Gianni Onori serving as director, the musical allowed for some stunning stage pictures. Though one big question mark was would these kids really be sitting on the ground at a graveyard where they’re paying their respects to the lost? One of the biggest disservices to the production was the lack of buttons at the end of each song. Lighting designer Sean Nicoll's rarely but a light button at the end of songs forcing the audience not the clap and the actors to continue on. With some strong songs that deserved applause, there were many awkward moments of air. Another bold choice was the primary color, and green, color scheme Onori put the actors in. It was clever at first to give each character a color identity but became distracting when all of their props matched their respective color. The music of The 8th Fold is the glue that holds the show together and may be better served as a song cycle than a book musical. The concept is incredibly intriguing but with some mistakes and use of sacred 9/11 terms, it puts the entire work in question. The 8th Fold is a piece that has a future with some work.